From beautiful home decor and aromatic soaps to stunning crystal wine glasses, IWA Wine Accessories has the perfect gifts for her! Most ladies love decor, rejuvenating aromas and looking chic. If you are gathering ideas for a wine enthusiast, below are ten presents she will love! 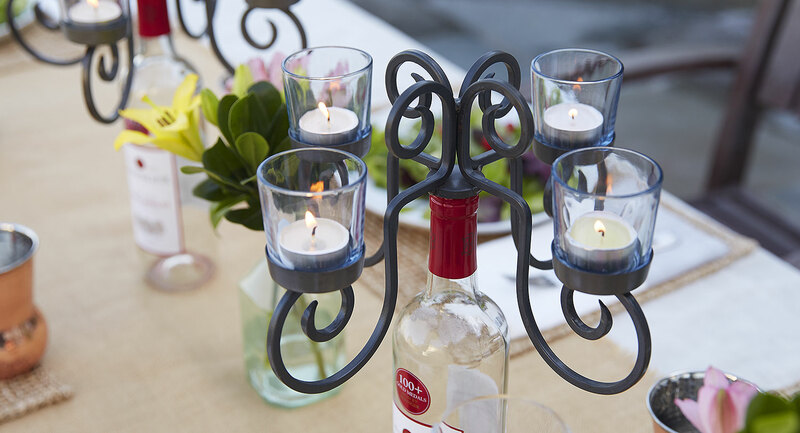 Light up the night with this festive centerpiece that keeps up to four wine bottles chilled. Made from clear, durable acrylic, its LED base is rechargeable for each party. The bright illumination gives ice cubes a dramatic, otherworldly glow, and its light weight makes it easy to carry between rooms as the gathering shifts locations. Whether you are self-gifting for your own holiday festivities or presenting it to a friend, the LED chiller will make a delightful impression. 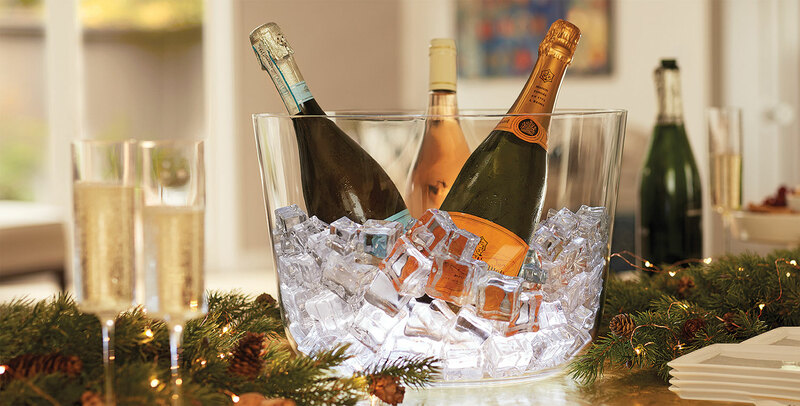 For the special woman in your life, bundle the chiller with Italesse contemporary wine glasses! Keeping corks from different bottles of wine, parties, or events can add up fast! The lady on your list will love showing off a collection of those special-occasion corks in a Cork Cage Eiffel Tower. It is handmade of metal and finished with a soft patina, featuring whimsical multi-colored glass accents and a hinged door to access the corks easily. It is a fun way to introduce someone to cork collecting. Many women love to decorate their homes with an old-world appearance. This vintage chic candelabra with a bottle of wine is an exceptional gift. Each candelabra has four glass holders to hold candles and casts the perfect amount of light for a romantic dinner. Although the candles are not included, the design consists of elegant rustic iron scrollwork, and the stopper fits in an empty wine bottle for presentation. A woman with a passion for wine tasting will find the aroma essences intriguing. The top choice of wineries and enology schools, this set will provide her a chance to distinguish and detect types, ages, and components of wine aromas and delves into how soil types affect wine production. The package includes 54 glass aroma vials of wine scents, 54 illustrated cards, an sophisticated instructional book, and a beautiful cloth-bound case. Enjoy a vibrant Chardonnay or sweet Riesling with these feather light glasses that are designed to be universal for white wine. Incredibly thin for machine-made crystal, they are used in Michelin-starred restaurants and bring out the unique expressions of fine wine. She will toast your good taste if you leave these extraordinary glasses under the tree this year. Bath and beauty products are a luxurious way to pamper the women in your life. 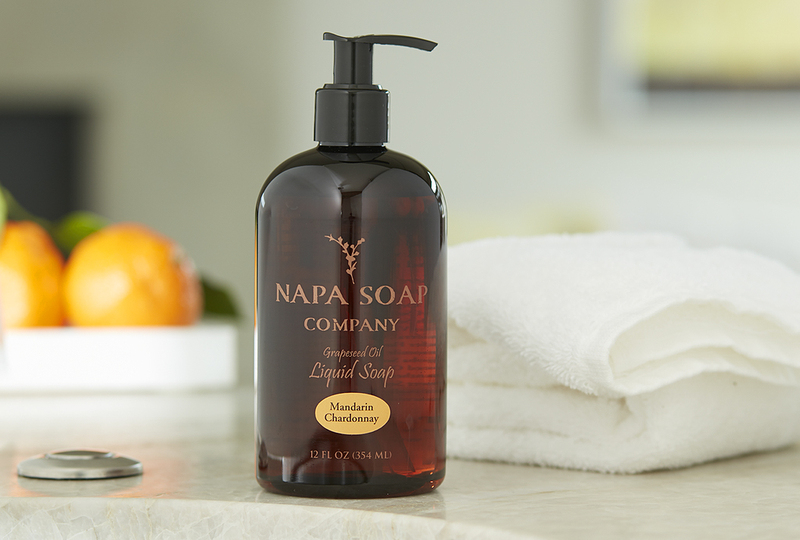 Napa Valley grapeseed oil and Chardonnay combine to provide a nourishing, fragrant soap with moisturizing lotion. The Napa Soap Company creates their products in small amounts by hand and uses organic ingredients with recycled contents from wine country. Pure botanical extracts, essential oils and vitamins create an opulent, natural experience. This faux black crocodile Stiletto Wine Bottle Holder is ideal for a woman who loves to combine the appearance of fashion and wine in the home. The holder cradles one standard bottle of wine or liquor and is made from durable resin. It is a top-selling gift from IWA Wine Accessories! 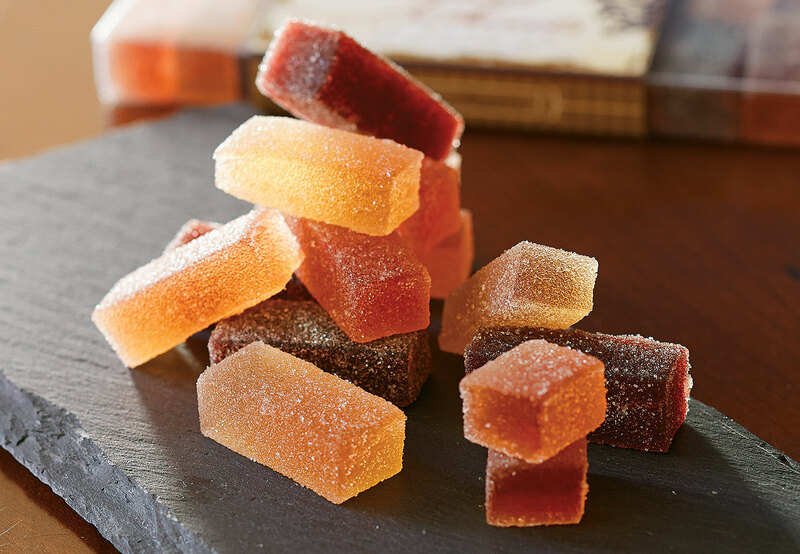 Infused with actual Cabernet Sauvignon, White Merlot and White Zinfandel, these delectable candies will melt in your mouth with luscious flavors. Each box contains approximately 22 candies, and will be a memorable treat as a stocking stuffer. Women can never have enough shoes! These six stylish brass charm stilettos provide an elegant sparkle and glamour for a girls’ night out. Place the magnetic charms near the rim of the glass above the wine for recognizable jewelry to help guests identify their drink instantly. Magnets keep the charming, fashionable high heels in place while enjoying the evening. This heirloom-quality 24-piece set comes in an oak box and can be handed down for generations. Its impressive stainless steel has been forged into place with rich mixed wood handles. Handmade in France, the handles are carved from olivewood, juniper, rosewood, kingwood, boxwood and snakewood. 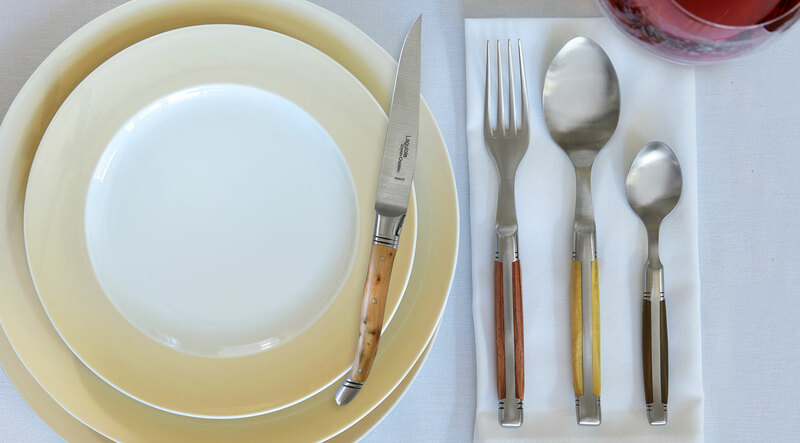 This exquisite flatware collection includes six knives, six forks, six soup spoons, and six coffee spoons. A lifetime warranty is included. About the Author: Mari Colham is a freelance reporter from north Louisiana who has admired tasting various wines from different wineries for 21 years. She graduated with honors and an Associates degree in Business Administration in 2013 and has been working in journalism since. When she is not writing or wine tasting, she is volunteering as a domestic violence advocate, spoiling her Shih Tzu and cat, fishing, or devouring books.